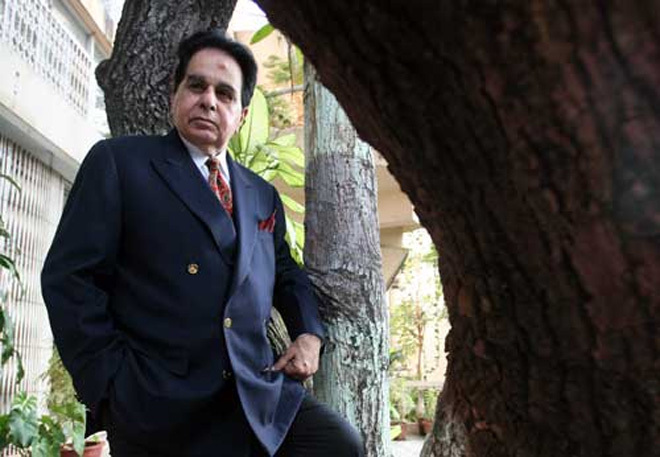 Mumbai(PTI): Memorabilia related to silver creen”s legendary Tragedy King legend Dilip Kumar sold big at an auction here with watercolours, mixed media, portraits and collage showcard artworks of the ‘Mughal-e-Azam’ topping the list of favourite items of the collectors. Dilip Kumar’s rare set of an original watercolour, mixed media and collage showcard artworks of “Ram Aur Shyam” that saw the actor in a first double role, sold for Rs. 3.36 lakh at Osian’s ‘The Greatest Indian Show On Earth 2 – Vintage Film Memorabilia, Publicity Materials & Arts Auction’ on June 22. A unique 12-sheeter teaser of “Kranti” went for Rs 3 lakh. Mehboob Khan’s “Andaz” hoarding with Raj Kapoor-Dilip Kumar-Nargis portraits went under the hammer for Rs 1.20 lakh. A rare set of six original mixed-media collage artworks of Dilip Kumar’s “Mela” sold for Rs 48,000. “Aan” stills, a set of four, sold for Rs 52,800. Sepia-toned photographic stills of Sohrab Modi’s “Sikender” mounted on lobby cards sold for Rs 78,000. A “Kal Aaj Aur Kal” six-sheet poster of three generations of the Kapoor family sold for Rs 54,400 while a “Bobby” golden jubilee trophy sold for Rs 74,400. “The value of film memorabilia is there till the time technology replaced hand-painted posters and showcards with printed ones. If we had not placed credible financial value on these related objects of our film culture, the desire to preserve, love and respect our cinematic heritage would have been much more difficult to emerge,” said Neville Tuli, chairman of the The Osian’s Group. Rare artworks from the later 1990s onwards period such as Shah Rukh Khan’s doodle, ink on paper, sold for Rs 1.2 lakh while Aamir Khan’s frontal portrait in poster paint on cardboard in “Mangal Pandey” by Balakrishna sold for 64,500 and M F Husain’s “Gaja Gajamini in Paris” photographic collage and ink on paper sold for Rs 1.44 lakh. Highlighting the role of auctions in preservation process, Tuli said, “Today centres of research, museums, archives, collections, related to not just Indian film but all cinemas will emerge deeper and faster with India as a potential hub. It is not very far away when the finest scholars and researchers will flock to India to understand the profound role the cinematic and related arts have played in developing culture and a thousand influences thereon. “The auctions have facilitated this journey just like film festivals facilitate a film appreciation culture.